If you suffer from diabetes then you need to take extra care in your oral hygiene program . The fact that diabetics have a lower immune system is also something they need to address. Infections are more easily contracted by a diabetic, and as diabetes is a blood related disease it is especially important that the gums are kept healthy and cut free. It is now known through research that oral cuts caused by soft and infected gums, are a major gateway of bacteria based infections in the blood stream. Diabetics have enough problems keeping their sugar and fat levels down to a bare minimum, that they really don’t need to have more problems through a bad oral hygiene program. At the first sign of an infection a diabetic should get a dentist to investigate the problem, it is so important that antibiotics are given early to bring down the infection and keep the swelling to a minimum. Your dentist is there to help you with your diabetes and gum disease problems, as well as your doctor. The way your dentist will help you is by keeping an extra eye on your gums, and by advising you through the dental hygiene nurse and those 6 monthly check ups. Diabetes comes in 2 forms which are type 1 and type 2, type 2 is generally kept under control by diet and /or tablets, but it is type 1 that will concern your dentist more as this one is controlled by insulin injections, diet and tablets. Type 1 diabetics are more prone to gum disease, and that can advance into Gingivitis which will eat away the gum line quite quickly. A diabetic’s immune system cannot keep getting antibiotics as the system will become immune to them, so it is so much more important that type 1 sufferers in particular follow an extra carefully planned oral hygiene regime. Diabetes that is not properly controlled can lead to periodontal (gum) diseases in both young and old people. Periodontal diseases are infections of the gums and bone that hold the teeth in place.Because of blood vessel changes that occur with diabetes, the thickened blood vessels can impair the efficiency of the flow of nutrients and removal of wastes from body tissues. This impaired blood flow can weaken the gums and bone, making them more susceptible to infection.In addition, if diabetes is poorly controlled, higher glucose levels in the mouth fluids will encourage the growth of bacteria that can cause gum disease.A third factor, smoking, is harmful to oral health even for people without diabetes. However, a person with diabetes who smokes is at a much greater risk for gum disease than a person who does not have diabetes.Paired with poor oral hygiene, diabetes can lead to gingivitis, the first stage of periodontal disease, or to periodontitis, severe gum disease. If you are looking to avoid gum recession as well as improve gum line aesthetically, you might want to consider gum grafting. 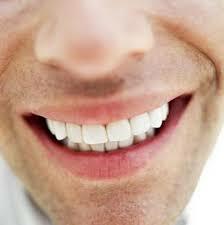 Receding gums usually result to exposed roots, which makes your teeth appear longer than normal. For some people, this could be quite bothersome and makes them conscious of their smiles. Aside from this, exposed roots could increase your sensitivity to cold and hot foods and drinks. A gingival graft also called gum graft or periodontal plastic surgery is a generic name for any of a number of surgical periodontal procedures whose combined aim is to cover an area of exposed tooth root surface with grafted oral tissue. The covering of exposed root surfaces accomplishes a number of objectives: the prevention of further root exposure, decreased or eliminated sensitivity, decreased susceptibility to root caries and improved cosmetic. These procedures are usually performed by a dental specialist in the field of gingival tissue, known as a periodontist, but may be performed by a general dentist having training in these procedures. With gum grafting, you will be able to address problems associated with receding gums. It will effectively improve your gum line and at the same time, prevent further recession of your gums which could possibly lead to bone loss. The entire gum grafting procedure is simple.A free gingival graft is a dental procedure where a layer of tissue is removed from the palate of the patient’s mouth and then relocated to the site of gum recession. An acellular dermal matrix (such as Alloderm) graft uses donated medically-processed human skin tissue as a source for the graft. A lateral pedicle graft, or pedicle graft, takes tissue from the area immediately adjacent to the damaged gingiva. This is not always an option, as the constraint that there must be sufficient tissue immediately lateral to the area of interest is an onerous one.Coronally and apically positioned flaps , although technically not grafting procedures, are other forms of a pedicle grafts in that gingival tissue is freed up and moved either coronally or apically. Of course, your dentist will need to assess your dental health before proceeding with a gum grafting procedure. A detailed medical history will also be obtained in order to ensure that you are medically-fit. In addition, the exact reason for the gum recession will have to be determined in order to prevent a recurrence in the future. Recovery from gum grafting procedure will only take a short time and you will soon find yourself eating, drinking, talking and laughing with ease and confidence. 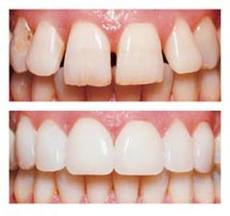 For more information on gum grafting please contact Goma Dental at 177-645-0704 .